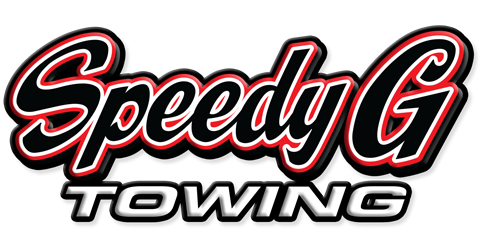 If you’re having car problems in Pingree Grove, IL, make Speedy G Towing your first call for help! 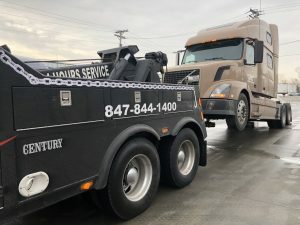 Quickly and simply request a tow in Pingree Grove, IL by calling our dispatch office directly or by clicking on “Book Now” to request a tow online! Our towing services are the complete roadside assistance package in Pingree Grove, IL. We have flatbed trucks that can handle just about any passenger car. Our tow trucks come complete with all the equipment needed to retrieve your car and get it moving, from wheel lifts to go-jacks. More info on Towing Services. We can tow motorcycles and other types of motorbikes as well. Have you gotten your car stuck in a ditch? Are you trapped in mud or snow? Did you get into a serious crash and need help getting your car to a service shop? No matter what the situation, roadside assistance is just a phone call away! Our best trained professionals will come out to you, determine if they can fix any problems, and if not, will tow your car to the appropriate body shop or local mechanic to have services rendered. No matter where you are, you won’t have to wait long. If our mechanics can’t fix the problem on-the-spot, our tow trucks will bring the car back to Speedy G or tow it to a nearby mechanic, body shop, or other service center for further assistance. More info on Heavy Duty Towing. Are you moving across the country and need help taking your cars with you? Have us help you. We can pick up as many cars as you need relocated from Pingree Grove to your new destination. We’ll pick up your car at your Pingree Grove, IL home and bring it to the doorsteps of your new home. Got a flat tire? Don’t worry – we’re here to help. We’ll come directly to your location and change your tire for you if you have a spare. Even if you just need air, we can provide that too! 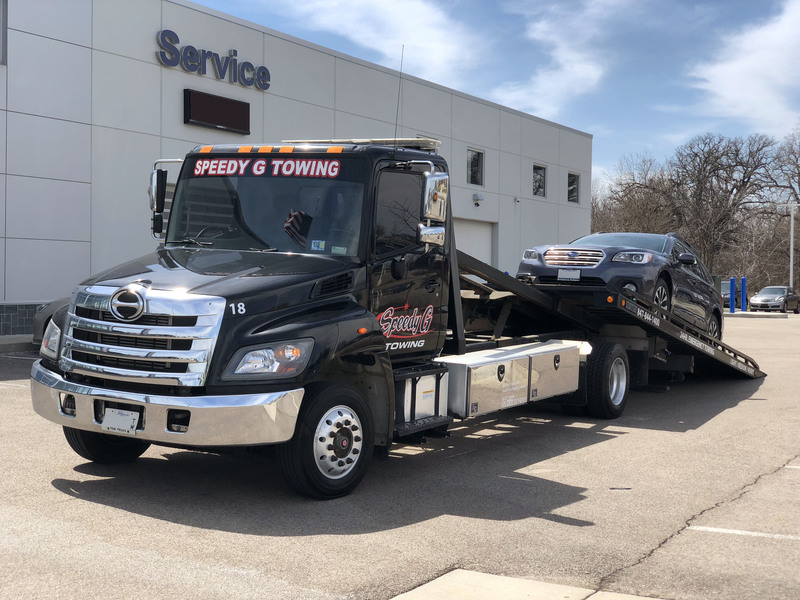 If you know you don’t have a spare, make sure you tell our dispatcher this so that they can send out a flatbed towing truck to bring your car in to a local service center. There, you can have the tire replaced by a mechanic. More info on Tire Changes. Locked your keys in your car? This annoying but common occurrence can seem like a nightmare at first. Luckily, we make it easy by sending one of our trained professionals right to your vehicle. They can pop open the door, retrieve your keys, and get your right on your way. Make sure to let the dispatcher know if your car is in a dangerous situation so that we can send help to you even faster. More info on Lockout services. Car not turning on? Don’t hesitate to give us a call – we can start your car up again with our jump start roadside assistance. We have the equipment to make any engine go from cold to hot within a minutes of arriving to aid you. Did you overestimate how far you could get on a near-empty tank? Don’t worry, it’s happened to just about all of us. If you find yourself stuck on the side of the road with no gas to get you home, give us a call and we’ll come to you to fuel you up so you can get going again. More info on Gas Delivery.